Here is the account of his death, firstly as written by Sydney Schiff in his novel, and then a collection of newspaper cuttings that recorded the case in 1919. The version in "Tony" appears to follow very exactly what really happened, and was recorded in the coroner's and assize's proceedings. Ernest was very badly served: the Police Sergeant positively encouraged Albert Nicholls to take the law into his own hands and brutally attack Ernest. I doubt if modern forensic science would allow such blatant lies to be perpetrated: it looks as though Albert Nicholls brutally attacked Ernest and kicked him ferociously. The alleged knuckleduster was never produced, nor were any of the letters that purported to prove that Ernest was attempting to seduce the daughter and take her to London as a prostitute. I wonder who the artist was who was producing the portrait, and I wonder where the portrait is now. "Trixie" was in real life Selina Moxon. I have found quite a lot of information about the Nicholls family which I shall place here soon. "Tony", by Stephen Hudson; first published 1924. Trixie had been awfully good. There had been no pretence between us of romance or passion, we were just good pals. When the blow fell, she did her best for me, when I was ill, she nursed me, while I was hard up, she stuck to me. What more could she do? She was the only living creature who had a claim on me and she never made it. It was I who proposed it but she wouldn't decide until I had consulted you and Myrtle. She said she didn't mean to have it said that she had dragged me down. Awful nonsense, of course, and equally of course you two thought I was right to marry her if Nancy was willing to divorce. So the matter was settled. Some time before, I had commissioned Stanford to do a posthumous portrait of Cyril from photographs. I wanted him to sit during those last months and got him to Stanford's studio several times but there were so many things the darling boy wanted to do when he came up on leave, I hadn't the heart to persuade him to give up hours of it to sittings and so the picture was never painted. But Stanford had seen a good deal of him as I often asked him to come out with Cyril and me which the good, gentle creature thought the most exciting thing in the world. It was Stanford's idea to go down to a village he knew of on the Cornish coast where he could paint the portrait at his ease and I could watch it and make suggestions. That suited Trixie and me all right, our intention being to stay there a few weeks and then go to France until the divorce was a fait accompli. So she chucked her engagement at the Lyric and we went down to Portherrack and took the whole inn. It was a cosy little place high up on the rocky cliff with a view straight out to sea. The windows opened into a garden at the back where there was a shed which Stanford made into a studio, and we three settled down comfortably. I was happier and more at peace than I had ever hoped to be, walking along the cliffs with Trixie, reading a bit and watching the picture grow. I knew you didn't think much of Stanford as an artist but he was fond of the boy and I knew he'd do his damnedest. And he did. From the first strokes, it was an amazing likeness. After he'd painted the face, I made him stand the easel in my bedroom so that I could see it the first thing in the morning and the last thing at night. I was nearly always awake when the sun rose over the cliffs; I could see the waves sparkling as the rays fell on them and in a few minutes they touched the boy's hair and powdered it with gold. When they got lower and reached the face, I got out of bed and turned the easel round so that the canvas should be in shadow because the paint marks showed up blotchy. But I thought he looked best in the evening time just before it got dark. I used to have a look at him after we finished our early supper, before we went for our stroll. He smiled at me as though he was saying "Go on and have your walk, daddy, enjoy your cigar. I'll see you when you come in." And I always made the others turn back in time for me to see him again before it got dark. I didn't tell them why and sometimes they wanted to go on. The days got a little shorter and, one beautiful evening, they were so disappointed at my wanting to go back that I made them continue their walk and came back alone. When I got to the inn, there wasn't a soul about. Drink couldn't be served in the little bar after eight and the widow who kept the place was out, gossiping with some neighbour I suppose. I went into my bedroom, impatient to have my usual look at the picture and I shut the door behind me, before I noticed, sitting on my bed, the little maid who served our meals and took her turn at the bar. I'd often thought how pretty and sweet she was and in her Cornish peasant way remarkably refined, with her dark eyes and hair and fresh milk-white skin. But, strange to say, in site of my rakish habits, I hadn't paid much attention to her. It may have been because my mind was too full of the boy and it may have simply been because she was so young that I regarded her as a child. But when I came upon her, unexpectedly like that, sitting on my bed with her face outlined against the evening light, gazing at the portrait, I was suddenly struck by her prettiness. She jumped up and began apologising in a confused way. "I couldn't help sitting and looking at him. He's so lovely." What else do you who know me consider I could have done than I did do? I sat down on the bed myself and pulled her down beside me, out my arm round her and kissed her. "Just you sit here with me. We'll look at him together," I said. And when, without the slightest sign of resentment, or embarrassment, quite naturally and sweetly, she did sit there beside me, when indeed, she went further and put her arm around my shoulder, I kissed her again on the neck, where her soft hair waved upwards behind her ears. The smell of her hair and of her skin mounted to my head like wine, her unabashed simplicity intoxicated me, I kissed her again and again, I held her firm young body to me, I buried my head in her neck, I smothered her with kisses. A door slammed. I had just sense enough to free her. She put her two hands to her head and tidied her hair before she went, softly and quite unconcernedly, out of the room. I needn't say much more about her. What came after that was inevitable, once the desire for her took hold. It was an almost rainless July; every evening we three started for our walk and every evening I returned alone. I could count with almost complete certainty on an hour or more alone with Delia. At last the weather changed, there was a thunderstorm. It cleared after supper, but I insisted on our not missing our walk and I set the pace so that we should get as far as possible. When I turned back as usual, some heavy drops began to fall, I had some difficulty in persuading Trixie not to come with me. I had to pretend I wanted to be alone and told her not to hurry back, to take shelter if it came down hard. I knew Stanford was getting spoony, that he was flirting with her in his harmless, sentimental way; I could count on his keeping her back as long as he could. And I ran back through the rain as fast as my cracked old lungs would let me. Delia had always waited for me in my room, which it was one of her duties to prepare for the night, but that evening, as I passed through the bar, there were two men there, and Mrs. Tregenion behind the counter. She had abandoned her usual visits to neighbours on account of the weather and was probably supplying surreptitious pints to them instead. I cursed her as I went into the bedroom. Everything had been done but no Delia of course. I went back to the sitting-room and flung myself on to the rickety sofa, which gave way under me. Any excuse was good enough. I went into the passage and yelled "Delia, Delia." She came at once, closing the door behind her and put her fingers on her lips. "Daddy's in the bar," she said. We propped up the sofa and I kissed her, I was on fire to possess her again but it was utterly impossible. I went into the bar. I had no difficulty in persuading Mrs. Tregenion to break the licensing laws. I stood "daddy" and his friends drinks. They were both copper miners, thick, hunky men with muscles of steel. When Trixie and Stanford came back, I was still carousing with them. Mrs. Tregenion had had several glasses of what she called port and was pretty well on. Trixie and Stanford went into the sitting-room where the harmless flirtation could continue: I heard the sofa go down with a smash a few minutes after they'd been in there. I'd had enough whiskey to enjoy the joke hugely when I ran in and saw them looking at each other in shamefaced dismay. I consoled them and went back to the bar. At midnight "daddy" and his friend reeled out and I helped Mrs. Tregenion lock up. I also helped her to her room. I pretended to think the door on the other side of the passage was hers and opened it clumsily. A little figure in white called "Who's that?" and I closed it as the fat landlady said "No, this is mine" and stumbled in through the opposite door. When I came down, the others had gone to bed. I undressed and crept upstairs again. She was expecting me. How it got about I don't know. One can never tell in country villages what the people see or say or think, but especually not in Cornwall, where they are more clannish than Scots. I was pretty self-protective, experience had taught me to be, but I got reckless. I fancy Mrs.Tregenion began to suspect something after a while. I certainly had reason not only to suspect her but to know that "daddy's" chum found comfortable night-quarters at the Trevelyan Arms and I supposed, probably quite wrongly, what with that and my being a profitable customer, that she'd keep her mouth shut. I asked Delia what her father would do if he knew. "Oh Daddy wouldn't care s'long as I didn't get into trouble," was her answer. "Daddy" was often in the bar and whenever I saw him, we had a drink together. He was a taciturn sort of chap but he always seemed pleased to see me and shook hands heartily enough. Once I saw him outside another and inferior pub; he seemed to have been drinking and there were several young men around him. When I nodded to him, he turned his head away. I attached no importance to that, I suposed he was embarrassed at my seeing him at what Mrs. Treganion disparagingly called "The Tap." Even when he came in that afternoon and asked to see me, I didn't suspect anything. It wasn't till he refused a drink that the faintest shadow crossed my mind, but when he said "I want to have a word outside" I looked at him and I looked at Mrs. Tregenion on the other side of the counter. I noticed she turned her head away. It flashed through my brain to ask him to wait and to go to my room and slip my revolver into my pocket. But something prevented me, some feeling that if he intended to go for me, I should make matters worse if I used it. We walked on down the cliff path side by side without speaking. When we got to the little open space called Dinas Hole, he faced round at me. Then I knew I was in for it and I clenched my fists. He just called me some name and hit out at me. I dodged that blow easily enough but I knew the game was up. If I tried to bolt, his pals would be waiting to round me up. I was a flabby, untrained, middle-aged man, I had never been a boxer and I could make no more impression on that hulk of solid bone and muscle, on that mask of tanned leather stuffed like a cricket ball, than if I hit a dummy. He punched me and then he took hold of me round the waist and got me down. When I was on the ground he kicked me several times in the ribs with his huge hob-nailed miner's boots. When I heard them crack, I knew he'd done me in. I wasn't angry. I knew the poor ignorant blighter had been worked up to the job and had to finish it. He didn't want to do it. His pals had made him think he would be a skunk if he didn't lay me out. So there it was. I don't know how long I lay there. I didn't suffer much but I couldn't move without agony. Someone found me at last and they carried me back. Trixie got a doctor and wired you to come with a nurse. You were just in time to hear all I had to say--"I asked for it." An inquest was held a Carbis Bay, Cornwall, yesterday on ERNEST FREDERICK WILTON SCHIFF, 48, a retired captain in the Royal Sussex Regiment and formerly a jobber on the Stock Exchange, who died from injuries which--in the words of the jury's verdict--he suffered in a combat with Albert John Nicholls, a tin miner. 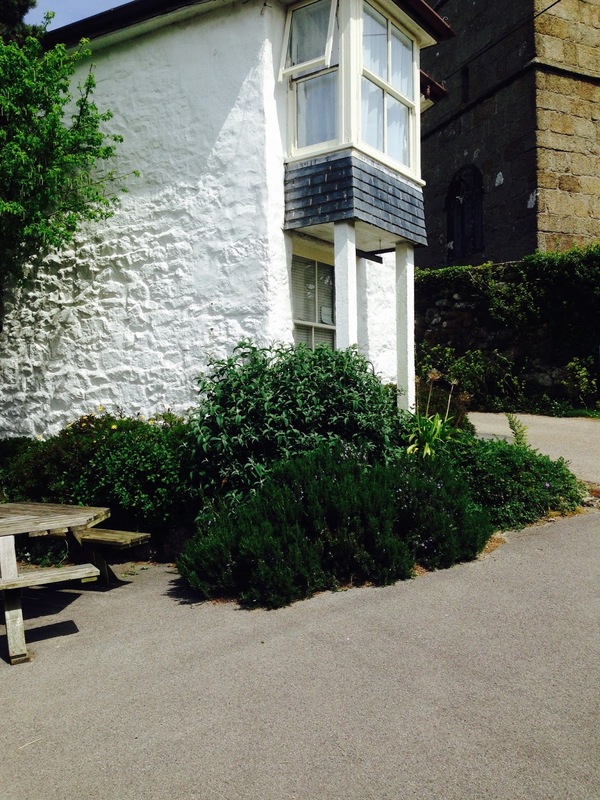 Schiff had stayed at the Tinners' Arms, Zennor, and afterwards went to live at Carbis Bay. Nicholls' daughter, a girl of 17, was employed at the Tinner's Arms, and Nicholls went to see Schiff with regard to his conduct to her. Nicholls' evidence was that they went together down the cliff pathway and had words. Schiff struck him two blows, and in return he struck Schiff half-a-dozen times. He left Schiff sitting by the side of the path and went and told the police. A doctor who attended Schiff afterwards found that his nose was broken, his face considerably battered, and three ribs were fractured. Death was due to internal hemorrhage. Schiff told the doctor that a man had set upon him and that he had cause for doing so. The CORONER said the jury's verdict was one of 'Manslaughter' and he committed Nicholls to the Assizes, but allowed bail. A solicitor, representing the family of Schiff, said they had no vindictive feelings towards Nicholls. A sensational case in which "the unwritten law"' was pleaded, has been tried at Bodmin (Cornwall). Mr. Nicholls, a miner was acquitted on a charge of the manslaughter of Captain Schiff, who figured in the Billie Carleton cocaine drugging case. Schiff, who was a notorious profligate, while on a holiday tried to lure the 17-year-oid daughter of Mr. Nicholls to London by means of immoral letters. Nicholls interviewed Schiff, and there was a fight, which resulted in the infliction of such severe injuries that Schiff died. As the result of a fight on a clifftop between the father of a Cornish girl and an ex-army captain, which had a fatal termination, the former was brought up at Camborne, early in April, to answer a charge of manslaughter. The victim of the encounter was Ernest Frederick William Schiff, who at the time was residing at Grey House, Carbis Bay, near St. Ives. Schiff, a nephew of Sir Ernest Schiff, was a retired captain of the Royal Sussex Regiment. His name was mentioned during the inquest on Miss Billie Carleton, the victim in the famous cocaine case. Dr. Tenison said he found Captain Schiff in bed, with two black eyes a broken nose, a cut lip, and fractured ribs. To the doctor’s enquiries he replied, "Someone set on me. He had cause." He further remarked that he would explain later, but did not do so. He died four days later, and an examination revealed that three ribs had been fractured. One splinter had perforated a lung and the heart, death being due to internal hemorrhage. Police Sergeant Matthews said Nicholls came to him about police enquiries which had been made relative to Captain Schiff’s conduct towards the accused's daughter, aged 17. When the witness told him the result of some of his enquiries the accused said he was going to see the captain and would return and tell him what had happened. A little later Nicholls returned, and said:--"I've seen him and had a scrap with him. I knocked him down, and then said to him, "Now do your best.” Captain Schiff then said "I shan’t do anything in the matter." On March 26 an inquiry was held at Carbis Bay into the death of Ernest Frederick Wilton Schiff, 48, retired army captain, of the Grey House, Carbis Bay. 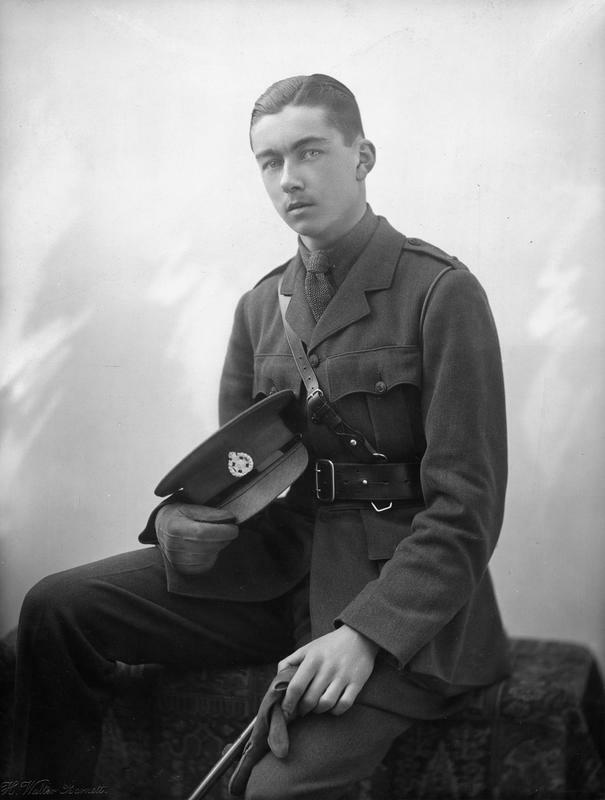 Sydney Schiff, a gentleman of independent means, of London, said deceased was his brother, and was a retired captain of the Royal Sussex Regiment having joined the army during the war. Some years ago he was a jobber on the Stock Exchange. Dr. Temson said he was called to see Captain Schiff. Deceased was in bed in a very collapsed state, his breathing being short and laboured. Both eyes were blackened, the bridge of the nose broken, both lips cut, and there was a bruise of four inches to six inches under the left breast, and three ribs were broken on the left side, one in two places. Witness asked him what had happened, and his reply was: "Someone set upon me: the man had excuse." Witness continued to attend him until death occurred. Death was due to internal hemorrhage. Deceased was a man of fine physique, but he was not in good condition when he saw him. Albert John Nicholls, 39, a tin miner, working at Giew Mine, and living at Towernack, was warned by the Coroner that he need not give evidence. Nicholls expressed a desire to say a few words. He said he was a man with six children, the eldest of whom was a girl 17 years, Nora Kathleen Nicholls. For about two years she had been in service at the Tinner's Arms, at Carbis Bay where Captain Schiff had stayed. On Thursday morning witness went to St. Ives and had a conversation with Police-Sergeant Matthews about deceased's conduct towards his daughter. After that he went to Carbis Bay to have an interview with Captain Schiff. When he (Captain Schiff) came out he said to him: "I am glad you have come: I want to have a talk with you." He (Nicholls) replied. "That is what I have come for, to have a talk with you." and Schiff said:"Let's get away from the house," and they went down the cliff pathway towards the railway station. Witness proceeded: "When we got down the pathway I said 'What do you think of yourself, passing as a gentleman and staying in a quiet little place at Zennor and trying to ruin my daughter?' He said 'No actual harm has happened to your daughter.' I asked him 'What do you call harm? You ruined my daughter's character in addition to all the trouble it have caused the parents and everybody concerned. You were not satisfied with being broomed out of Zennor; you then employed messengers to carry dirty messages to try and lure my daughter away. He said, "You are a d- liar.' I said,'You are a d- liar. You did. I have a note in my pocket which will prove it.' Then he said he would bash my face in and went for me. He made a run at me and struck me twice. Then I went for him." The Coroner: Struck him?-Witness:Yes. How many times?-Half a dozen.-how many times did he strike you?-Twice I remember.-What happened in the end? I knocked him down and left him sitting on the pathway. Police-sergeant Matthews told the Court that he had been to Zennor making inquiries concerning deceased and a daughter of Nicholls. and some of the information he obtained he told Nicholls when the latter came to see him. The Coroner: Was it such as to arouse any natural indignation on the part of Nicholls as a father?-It was, sir. Witness said Nicholls told him he was going over to see the captain. Later in the day Nicholls came back and said, "I have had a scrap with the captain, and left him sitting on the ground. When I knocked him down I told him he could do his best." Schiff looked up and said. "I shall not do anything in the matter." After a short absence the foreman said the jury were unanimous that deceased met his death as the result of a combat between himself and Nicholls, who was under real provocation. The coroner: You do not find that what Nicholls did was entirely in self-defence? The Foreman: We consider we are justified in saying he was under great provocation. The Coroner: That is a verdict of "manslaughter." The Coroner admitted Nicholls to bail, to appear at the Assizes. Mr. Hatt said he desired to say, on behalf of deceased's family, that they felt they had no vindictive feeling against Nicholls, and did not desire to press the charge against him. The Coroner said they were very glad the family looked at it in that way. JUDGE ON THE UNWRITTEN LAW. At Bodmin Assizes on Saturday a Cornish miner, named Albert John Nicholls, of Carbis Bay was acquitted on an indictment which charged him with the manslaughter of Captain Ernest Frederick Wilton Schiff, a retired officer of the Royal Sussex Regiment at Carbis Bay on March 20. Mr. H. L. Murphy, who prosecuted, explained that the dead officer had been staying at the Grey House, Carbis Bay, where a Miss Moxon was acting as his housekeeper. 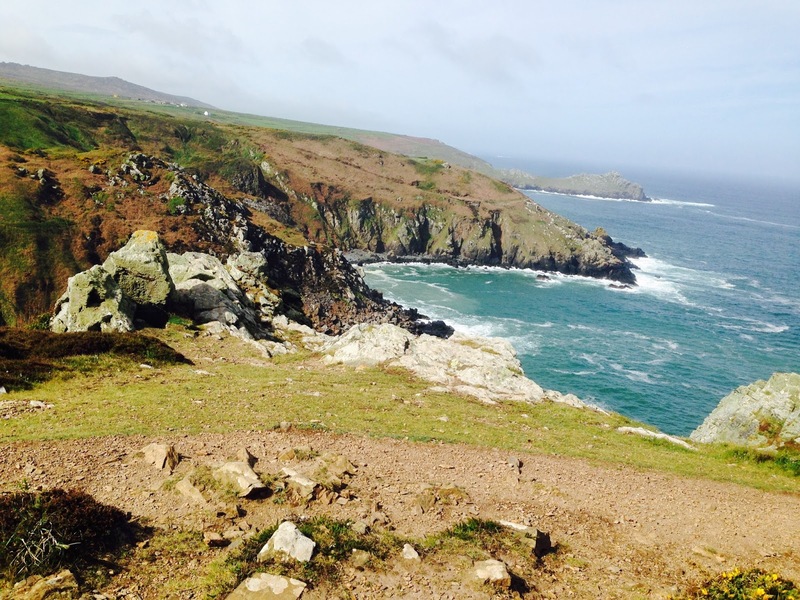 Before that Schiff had stayed at the Tinner's Arms, Zennor, where the prisoner's daughter was employed as a domestic servant. On the day in question the defendant went by appointment to St. Ives, where Police-Sergeant Matthews gave him certain information regarding his daughter and Captain Schiff. Nicholls became indignant and was full of resentment against Schiff, whom he said he would interview, promising on his return to tell the officer what had transpired. About half an hour after mid-day Miss Moxon saw the two men meet and walk away. The only person who knew what happened during the next 10 minutes was a Mr. Ormsby, a visitor staying at Carbis Bay. That gentleman saw Schiff rising from the ground and staggering towards the steps leading to the Grey House. The bridge of his nose was broken, his lips were cut, and two or three of his ribs were broken. Schiff apparently improved until the following Sunday, when a relapse was followed by death on the Monday. Noticing on the ground a quantity of blood and a number of articles which had apparently fallen from Schiff's pockets, Mr. Ormsby overtook him and assisted him to the house. A doctor arrived and attended him till death occurred. In accordance with his promise the defendant returned to St. Ives and told Sergeant Matthews that he had had a fight with Schiff. He said he had told Schiff to "do his best," and Schiff replied, "I shall do nothing in the matter." Evidence was given by several witnesses, including Miss Selina Moxon, who in cross-examination by Mr. Dummett (for the defence) admitted that she had known Schiff for several years, and that she had occupied the same room as he did at the Tinner's Arms. He was not a man of violent character. He had never called her foul names or used violence towards her. Sergeant Matthews told the Court that he had known Nicholls for some time as a hard-working, respectable man, a good husband, and a good father. Mr. Dummett--In your opinion was what you told Nicholls ample to justify his going to see Captain Schiff?--Most certainly. Did you approve of his going to see Captain Schiff?--I did. And would yo have approved of any father of a girl in the position of Nicholls's daughter going to see him?--He would not be a father if he did not go and see him. The defendant, who gave evidence on his own behalf, told the jury that in consequence of rumours regarding his daughter and Schiff his wife called on the latter in February. Later Schiff called on him, and he repeated the rumours that he (Schiff) was pursuing his daughter with an improper motive. Afterwards they went and saw a young man named Brooking, who had given him (the defendant) information about Schiff and the girl. Schiff threatened to knock out Brooking's brains with a knuckle-duster. The defendant added that Schiff said he had intended to kill Brooking, but when he saw the photograph of his son on the mantelpiece he had not the heart to do it. Schiff's manner terrified Brooking, and he (the defendant) thought he was the sort of man likely to carry out his threat to kill. The defendant said he was not satisfied with the interview he had with Schiff, who was eventually turned out of the Tinner's Arms and went to Carbis Bay. It transpired that he was sending messages to Miss Nicholls endeavouring to get her to go to London. When they met on March 20 he (the defendant) asked Schiff what he thought of himself posing as a gentleman, and yet trying to ruin his daughter. Schiff said no harm had taken place. He (the defendant) inquired what he meant by harm, pointing out that the girl's character was ruined, and that her parents and other members of the family had been caused anxiety. The defendant added, "You were not satisfied at being 'drummed out' of Zennor, but employed dirty messengers to try to lure my child away." Schiff declared that the allegations were untrue, but he (the defendant) told him he had a letter in his pocket which had been sent to the girl. Schiff thereupon threatened to bash his head in, ran towards him, and hit him on the side of the head. Then the fight began. The JUDGE.--Who struck the first blow?--He did. I went for him then. Knowing he was a desperate man, with knuckledusters, I was afraid he might knock me out. The witness said he struck Schiff once or twice, and then knocked him down. Mr Murphy.--From first to last were you in any fear of Captain Schiff? --I was afraid of him from the time I saw him with knuckledusters on. The prisoner added that he did not know whether he (Schiff) might not have a "shooter" with him. Mr. Dummett, addressing the jury, said that the jury would realise how righteously indignant a father would be when he realised what the dead man was attempting against his daughter. Schiff was evidently trying to induce the girl to leave her home for the hellish life of a prostitute on the streets of London. The dead man was the worst of profligates from the West-end of London, and, as shown by his correspondence, he had stopped at nothing to corrupt an innocent girl in one of the remotest parts of the country. MR. JUSTICE LUSH, in summing up, said that of late years there had been made from time to time some suggestion that in England juries were permitted to recognise what by an abuse of language was called the "unwritten law." That meant, that a man who had some just cause of indignation against another for some grossly improper act to a member of his family might take the law into is own hands and punish that other. Although he committed a crime, by some sentimental view of what was right, he was to be allowed to go free of the consequences. "I can only say," said his Lordship, "that it is an insult to our great system of criminal jurisprudence, of which we always have been and are justly proud, even to speak of such a thing by the name of unwritten law. So far from being entitled to the name of law, written or unwritten, it is lawlessness and crime. To give it any other term is merely to cloak and to hide it." Illustrating the pernicious character of such a doctrine if it ever received sanction, his Lordship pointed out that if once a man were permitted to take the law into his own hands, he would be entitled, on having reasonable cause for indignation, to decide for himself whether the particular individual he intended to punish was guilty or not. That would be a gross abuse and a lawless and criminal suggestion. Courts of law were open to everybody in this country. If one man did wrong to another or to his relative he could be brought to book for it. "But," concluded the Judge, "once allow a man, although a wrong may have been committed, to think he can be protected by some sentimental sympathy on the part of the jury, and at once you will have the doors open for people to form their own conclusions as to the innocence or guilt of the person supposed to have committed the act." Without leaving their box the jury returned the verdict stated above. JURY ACQUIT FATHER WHO WAS CHARGED WITH THE MANSLAUGHTER OF CAPTAIN. STORY OF FIGHT FOR DAUGHTER'S HONOR. The late Captain Ernest Frederick Wilton Schiff, formerly of the Royal Sussex Regiment,- aged, 48, of London, who had been living at Grey House, Carbis Bay, Cornwall, for about a year. A friend of the late Miss Billie Carleton, whose memorial service he attended. 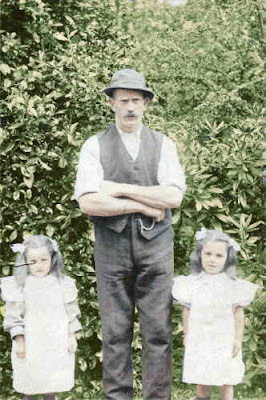 Albert John Nicholls, a miner, charged with the manslaughter of Captain Schiff, concerning whose relations with his daughter a police officer is said to have made a statement to him. There was a crowded Court when Nicholls, a powerful looking man of 39, with reddish hair and a heavy moustache, took his seat in the deck. He replied, "Not guilty," in a loud, firm voice, when asked to plead. He had been on bail since the Police Court proceedings. Without leaving the box the jury acquitted the accused. Mr. H. L. Murphy, counsel for the prosecution, explained that Captain Schiff had been living at the Grey House, Carbis Bay, and had previously stayed at the Tinner's Arms, Zennor, where prisoner's daughter was employed as a domestic servant. On the day of the alleged crime accused went by appointment to St. Ives, where Sergeant Matthews gave him certain information regarding his daughter and Captain Schiff. Nicholls became indignant, and was full of resentment against the captain, whom he said he would interview, promising on his return to tell the sergeant what transpired. About half an hour after midday Miss Moxon (housekeeper at Grey House) saw the two men meet and walk away. The only person. who knew what happened during the next ten minutes was a Mr. Ormesby, a visitor staying at Carbis Bay, who saw Schiff rising from the ground and struggling towards the steps leading to the Grey House. Noticing a quantity of blood and a number of articles which had apparently fallen from the captain's pocket, he overtook Schiff and assisted him to the house. A doctor arrived and attended him until death occurred. Evidence was given by several witnesses, including Miss Selina Moxon, who, in cross-examination by counsel, admitted that she had known the deceased officer for some years. She occupied the same room as he did at theTinner's Arms. He was not a man of violent character. He had never called her foul names or used violence towards her. Sergeant Matthews told the Court that he had known Nicholls for sometime, as a hard-working, respectable man, a good husband and a good father. Mr. Dummett (for the defence): In your opinion was what you told Nicholls at your interview with him ample to justify him going to see Captain Schiff ?—Most decidedly. Did you approve of his going to seeCaptain Schiff ?— I did. And would, you have approved of any father of a girl in the position of Nicholls' daughter going to see him?—He would not be a father if he did not go and see him. On the conclusion of the case for the prosecution, Mr. Dummett submitted,there was no case to go to the jury. The Judge ruled that there was a prima facie case. Nicholls, who was then called, said he was a tin miner and a married man with five daughters and one boy. 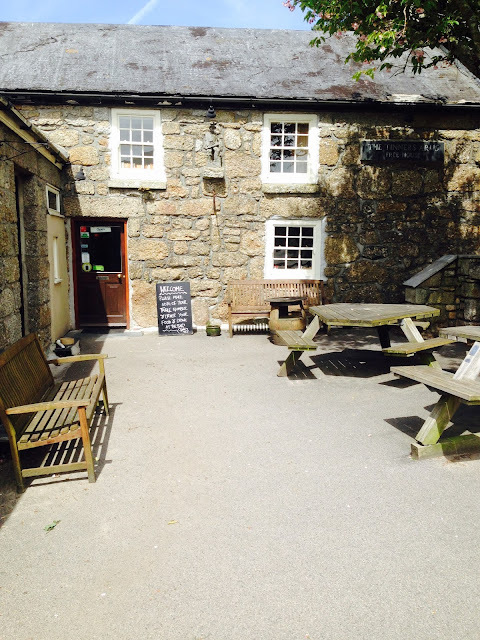 His eldest daughter, Norah Kathleen, was 17 years of age, and had been in domestic service at the Tinner's Arms, at Zennor, for two years. She had always borne a perfectly good character. In February he heard rumors in regard to. her and Schiff, and his wife had an interview with the latter. Later, Schiff called upon him, and he repeated the rumor that Schiff was pursuing his daughter for an improper motive. Schiff denied this, and they went to Zennor and saw a young man named Brooking, who had made the statement. Schiff used violent language towards. Brooking, whose brains he threatened to knock out with a knuckleduster he had on his hand. Accused added that Schiff said he had intended to kill Brooking, but when he looked at the photograph of his own son on the mantelpiece he had not the heart to do it. Schiff's manner terrified Brooking, and witness thought he (Schiff) was the sort of man likely to carry out his threats to kill. Witness said he was not satisfied with the interview he had with Schiff, who was violently turned out of the Tinner's Arms and went to Carbis Bay. It was discovered that he was sending messages to witness' daughter, endeavoring to get her to go to London. Witness, met Schiff on March 20 and asked him what he thought of it now, posing as a gentleman and yet trying to ruin his daughter? Schiff said no harm had taken place. Witness inquired what he meant by “harm,” and pointed out that the girl's character was ruined, and that her parents, and other members of the family had been caused great anxiety. Witness added: "You were not satisfied with being “broomed" out of Zennor, but employed dirty messengers to try and lure my child away.” Schiff declared the allegation was untrue, but witness told him that he had a letter in his pocket which had been sent to the girl. Schiff thereupon threatened to bash his face in, and sprang, towards him and hit him on the side of the head. Then the fight began. The Judge: Who struck the first blow?—He did. I went for him then, knowing he was a desperate man, with knuckle-dusters in his possession. I was afraid he might knock me out. Witness added that he struck Schiff a time or two, and then knocked him down. Counsel for the Prosecution: From first to last you were not in fear of Schiff?— I was afraid of him from the time I saw him with knuckle-dusters on. After that I did not know whether he might not have a shooter on him. Mr. Dummett (for the defence) said he was certain that the jury would realise how righteously indignant a father would be when he realised what the dead man was attempting agains this daughter. Put it at no lower level, Schiff was evidently trying to induce her to leave her home for the hellish life of a loose woman on the streets of London. The dead man, who was the worst of profligates from the West End of London, as had been shown by his correspondence, had stopped at nothing to corrupt this innocent girl. The Judge on Unwriten [sic] Law. The Judge, in summing up, pointed out that the impression has been growing in this country that when a man had been done a wrong by another man it was open to the wronged man to take the law into his own hands. That was familiarly known as the "unwritten law." He must urge upon them to be very careful not to allow their sympathy with the accused to interfere with a proper verdict according to the laws of this country. Chaos would soon obtain if men who might have real grievances against others ignored the laws of the country,and inflicted what punishment they liked without taking the ordinary course of redress. He was not suggesting that in this case the accused had taken the law into his own hands. It was quite possible that he had a good legal defence for what he had done, and he held that in certain circumstances where a fight had taken place the man whose death had followed had been accidentally killed, in this case the evidence showed that the dead man first of all attacked the accused. They were entitled to acquit the accused if they considered he had only done what was necessary in the circumstances. Things which Schiff Told the Cornish Miner's Daughter. Immediately after his acquittal he returned to his native village, and was welcomed by his friends as one who had successfully defended his daughter's honour. "Schiff only got his just deserts.” added Nicholls. 'If you had seen the letters he wrote to my Kathleen you would understand my reason for not pretending to be sorry. He told my little girl if she went away to London, she would be able to earn more money than 'Billie' Carleton, and would be able to wear even prettier dresses. He told her she need not tell them until she had gone. And then he played upon her feelings by telling her she would be in a position to send plenty of money home to her mammy and daddy.